Beginning in 2008, MDG entered into an agreement with Weaverville Partners to provide services necessary for the development of 12 acres of land in Weaverville. The development has progressed into a master plan consisting of a mixed unit development comprised of commercial and multi-family units. 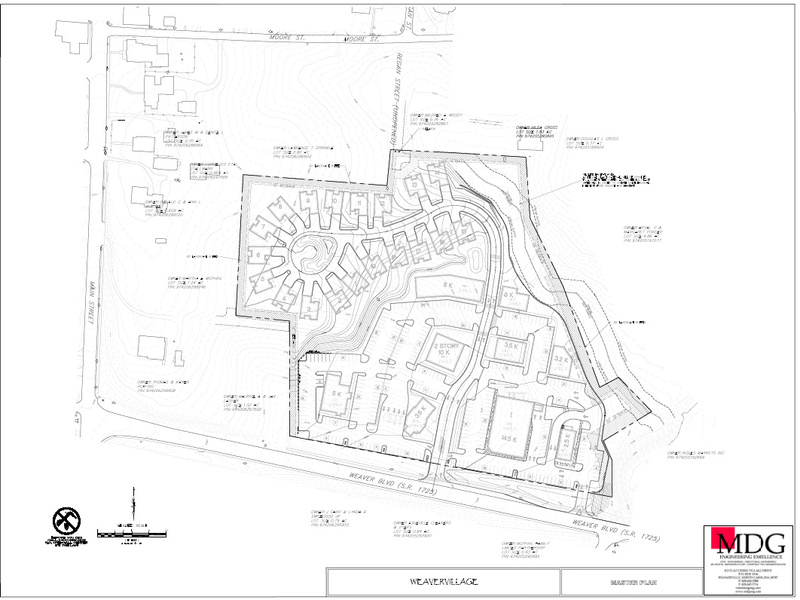 The services provided by MDG have included confirmation of project boundaries and other available data, property access points and permitting, storm drainage conveyance systems, stormwater BMP units, water supply modeling, water and sewer extensions, sediment and erosion control design and permitting, retaining wall design, and construction plan generation. This project also incorporates new NCDOT sidewalk with the road widening for site access, off-site easement acquisition, wetland permitting, retaining wall construction, and outparcel interconnectivity with the residential neighborhood. Non-typical project details include the design of retaining walls from 4 to 32-feet in height, individualized stormwater BMPs to serve each unit, and extensive public hearings as part of the approval process.